ROUSH took a day last week to head up to the Mounds ORV Park in Mt. Morris, MI to do some testing of the ROUSH Raptor, as well as utilizing the opportunity to capture some media. 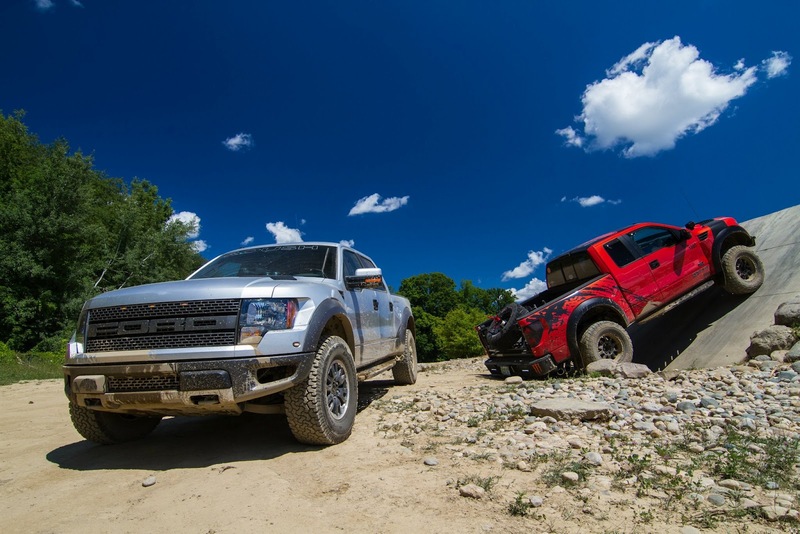 While out there, they had a fellow ROUSH/Raptor fanatics show them around the park, and also showcase a little of the Raptor's is capabilities. 2007 SHELBY GT500 ~ 752 RWH!! Who is Anderson Ford Motorsport? Anderson Ford-Mercury is one of the oldest Ford Dealerships in the US specializing in performance products for fuel injection Ford vehicles. The Anderson family had over 20 years of racing experience in NHRA, IDBA, and Drag Bike organizations before they opened the Ford-Mercury dealership doors in 1988. Since opening the dealership in Clinton, IL, the Anderson families have raced in NHRA, NSCA, NMRA & Fun Ford Event/Heads-Up classes. They have also helped many of the top racers in those same organizations. Anderson Ford Motorsport division was created in 1989 to support the growing demand of performance parts for the late model Mustangs. 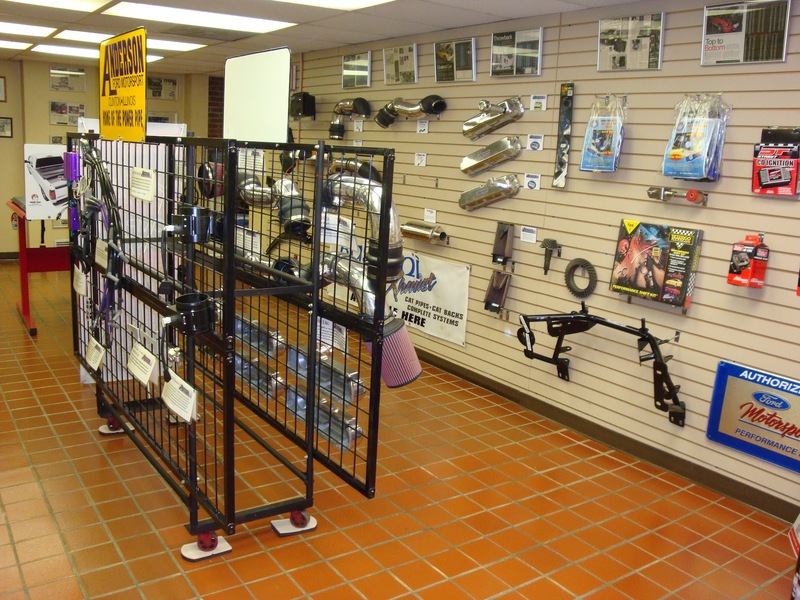 The Motorsport division has grown to be one of the largest Performance Centers in the Midwest and has a world-wide customer base and has established itself as “Illinois’ Number One Motorsport Dealership”. 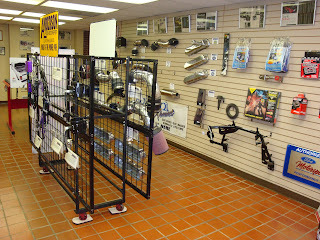 The dealership itself is owned and operated by Randy and Ann Anderson. Rick Anderson, Randy’s brother, was the Director of Anderson Ford Motorsport for many years and has helped to retain the premier reputation through product design and rigorous testing to ensure their reliability and that they “Really Work”! Racing Ford vehicles was somewhat of a “given” for the Anderson Family. Designing, building and retailing unique performance parts for Ford vehicles was something that came about because of the demand for new ideas of the Ford Performance market. Starting in 1993, Anderson Ford Motorsport branched out and began producing their line of specialty parts for the Mustang. The Andersons had witnessed gaps in the products being offered from other manufacturers and saw a need of filling this gap of performance parts for Mustangs. This is how the Anderson Ford Motorsport PowerPipe®, Hi-Rev®Camshafts and Hi-Rev®Clutches were developed. In 1988 Rick started testing products on his wife’s new ’88 Mustang LX coupe and in no time had it smokin’ the track at the mid 12’s and emission legal and naturally aspirated! At this same time his wife was still driving the LX on a daily basis with a round trip of 50 miles. He loved the Ford EEC with its great drivability and fuel mileage. With that in mind, it didn’t take Rick long to put his Mustang (’79 pony with 499cu) on the market and talk his wife out her LX. That same LX has been a continuing test car for Anderson Ford Motorsport. From the development of the famous PowerPipe® to the testing of products for the Renegade and Pure Street Classes, the car has been an invaluable asset. Anderson Ford Motorsport has also enjoyed working on many project vehicles over the years to learn what combinations of performance parts work together. These projects have saved consumers a lot of headaches and heartaches of trial and error on their own vehicles. Many articles have been written on these projects and published in the national magazines, 5.0 Mustang & Super Ford and Muscle Mustangs & Fast Fords. With the LX gone, Rick had a new “Mule” for the ongoing development of performance parts. A 2005 S197 Mustang in Screaming Yellow is now the car and is being put through the rigors of his testing. New products move from concept to manufacturing as the search for more horsepower continues. And you know you can’t have too many ponies! It seems when the S197 Mustang body was introduced in 2005, it has reignited the love affair between driver and car and the need for speed. You have peace of mind to know that every Anderson Ford Motorsport product is dyno tested and the horsepower is then proven at the track. Here at Anderson Ford Motorsport you will find great product value and total customer support. We’ve built our reputation on it. We have customer testimonials to prove it. And you’ll find our horsepower claims are real. And track proven. You can feel it on the road and you can see it at the track. Reignite your love affair and give us a call. Thank you for your business and don’t hesitate to call us at 1-217-935-2076 if you have any questions on our products or combination of products. 2013 Shelby Cobra GT500 goes 9's! The 2013 Ford Shelby Mustang GT500 is an impressive piece of hardware right out of the box. It's a package capable of pulling 11-second quarter mile passes one minute and lapping your favorite road course with genuine fury the next thanks to its impressive suspension tuning and heady 662-horsepower. But how much quicker can its supercharged V8 get with a little tweaking? The team isn't saying exactly what they've done to the king Pony, though we can see a set of dragstrip-friendly "bigs n' littles" have found their way into the wheel wells. As a result, the 3,852-pound two-door bolted down the drag strip in just 9.77 seconds. Judging by the "thank you" list in the video's credits, this GT500 may even be rocking a shot of nitrous, though we can't say for certain.